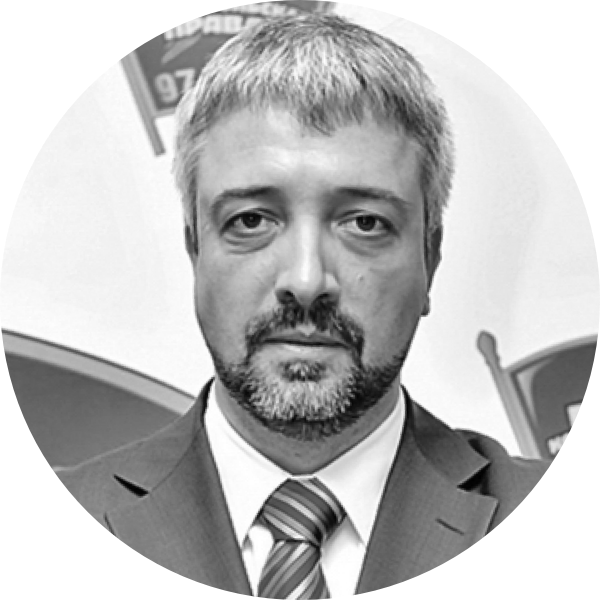 Field of expertise: Evgeniy is a leading Russian international relations journalist, TV and radio host. He specializes in the Middle Eastern affairs and humanitarian issues. Work experience: Evgeniy is an author and host of the "International Review" TV show at the "Russia-24" TV channel. He also heads the Independent Non-profit Organization "Russian Humanitarian Mission". He is a member of the Civic Chamber of the Russian Federation, and Advisor on International and Humanitarian Issues to the Russian State Duma Chairman. Since 2002 he worked as a journalist on several radio stations and TV channels. In 2002-2007 he headed the Middle Eastern Bureau of the "NTV" TV channel. In 2008-2011 he directed Israeli Bureau of the "Channel One" TV channel. He also worked for the United Nations Refugee Agency in Turkey and Jordan.